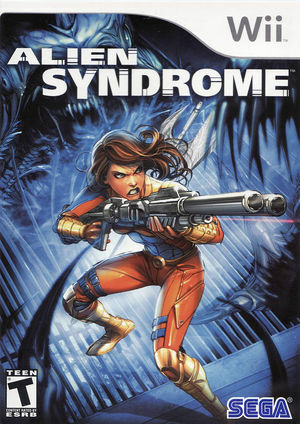 In Alien Syndrome, players take control of the game's strong and enigmatic heroine - Earth Command Trooper Aileen Harding - and battle a variety of fearsome aliens and colossal bosses. Gamers choose from a wide selection of character specialties and skills as they progress through an engrossing campaign, protected by many different types of armor and using a variety of melee and ranged weaponry. Players can improve their heroine's statistics and discover a huge number of powerful new abilities as they fight through infested spaceships and bizarre alien planets. The graph below charts the compatibility with Alien Syndrome since Dolphin's 2.0 release, listing revisions only where a compatibility change occurred. This page was last edited on 10 June 2018, at 22:37.